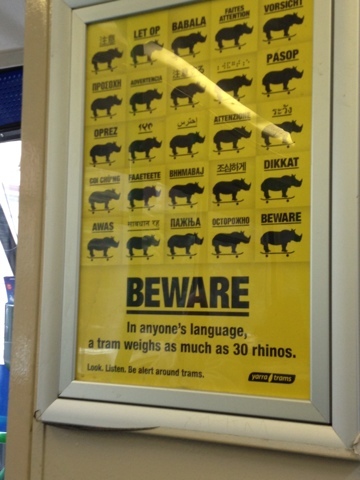 Surely they could have incorporated five more languages so the rhinos added up! I know! I'm also a little disappointed they don't have the German ACHTUNG!!! that you see everywhere in Europe. It always gives me such a pleasing sense of impending doom.